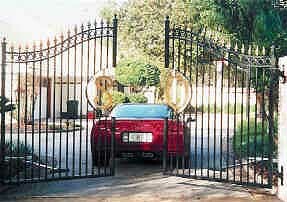 Allied Fence can install, service and maintain your electric automatic gate system. If you need controlled access to your property our skilled technicians can custom design an entry gate system to your specific requirements. Whether you require something simple, or an exotic creation, we will build an entry gate system that satisfies your needs. Our customers include residential, governmental, commercial and educational locations. We offer the major brands of gate operators and work closely with homebuilders, architects, contractors and developers to provide quality gate systems. We offer on-site evaluations and planning as well as custom gate design to your specifications. Our quality workmanship and engineering designs eliminate sagging and ensure satisfaction. Whatever your needs for a controlled entry gate system, from a single driveway to a complete community, we can help you. Even if your job is unusual or complex, we invite you to get a quote today. Also please view our galleries for examples of other projects and services including fences, railing and decks. To learn more about Allied's complete turnkey gate access systems Click Here. 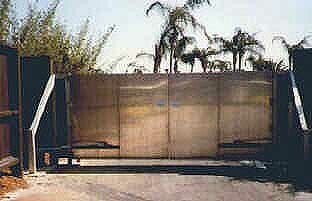 Manufacturers and designers of quality fences, gates and railings.